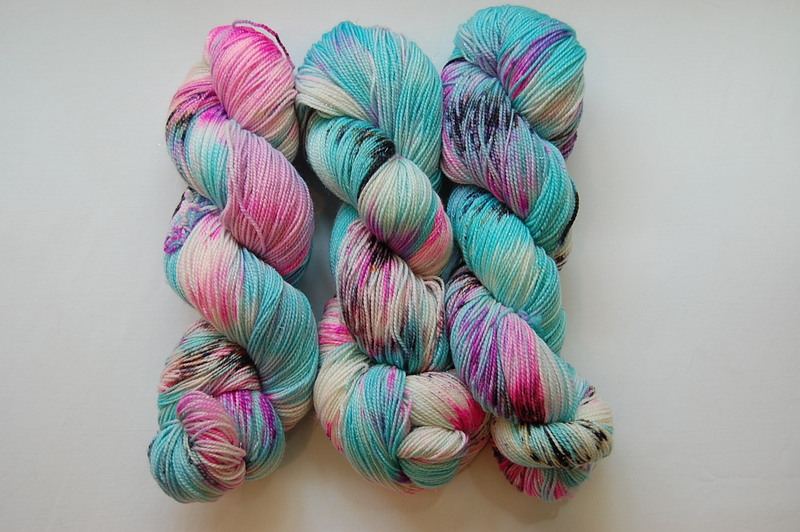 This is a limited edition colorway for the Down Cellar Studio Podcast Splash Pad KAL for 2018! Only available for a short time. 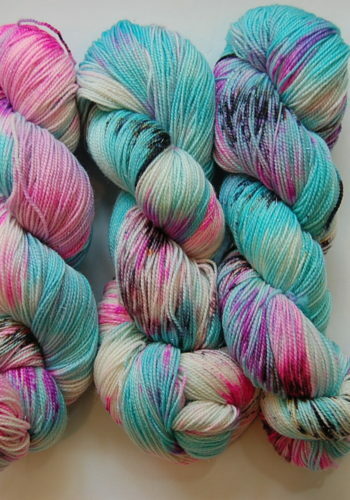 These are dye to order on my Rock and Roll Sock base. Rock and Roll Sock: 2-ply 75% superwash merino, 20% nylon and 5% silver stellina 438yds in 100gm Machine washable, but hand washing is recommended for best results. I try to do my very best to capture the color accurately with my photos but there may be variations with computer monitors. As with all handdyed yarn color may vary between skeins. It is recommended, if working with more than one skein, to alternate rows for even color distribution.